As you have probably noticed over the last few months, Destructoid has been loaded with articles about the Devil May Cry series and its upcoming titles. The folks at Capcom have been very open with sharing details about the series, and what the fans can expect. This year has easily been the most active the franchise has ever been, and with the release of one more title coming within a few days, series vets are extremely invested in seeing this revisit live up to their expectations. During E3, we got the opportunity to speak with Capcom game director Hideaki Itsuno about his return to the series with Devil May Cry 4: Special Edition. With past work on the series with DMC2, 3, 4, and also serving as a supervising producer on Ninja Theory's DmC: Devil May Cry, Itsuno has been one of the strongest pillars of the series. And judging from his work on the upcoming DMC4: Special Edition, he's still got a lot of ideas on how Devil May Cry's gameplay can be pushed further. During our chat, we got to talk a lot about his work on the series, what his influences were, and what fans can expect from this new update to a classic title. It's been more than seven years since the release of DMC4 back on PS3 and Xbox 360 back in 2008, and things have changed quite a bit. During that time, Itsuno choose to begin work on his passion project, an open-world Action-RPG title for consoles, which eventually became Dragon's Dogma. The sprawling role-playing game was one of Capcom's most intensive projects, and was largely met with acclaim. Though sometime after its release, the opportunity to return to the series presented itself, and Itsuno was keen on giving the series another go. "Once the original DMC4 production was over , I was ready to be done with DMC for awhile, and it was quite good timing," said director Hideaki Itsuno while recalling his work on Dragon's Dogma. "But by that time [after Dragon's Dogma], I felt that I wanted to work on another DMC game, and the topic of the Special Edition came up and it was really good, it came at a great time for me. Also it wasn't too difficult coming back to DMC mentally after awhile. I had actually been working on some mobile titles for awhile before this. It was good to be home with DMC, it was a year and a half project, and and I really enjoyed it all." As the second Special Edition release for the series, many fans have det their expectations high for the return to DMC4. Since its reveal, we've learned much about what the Special Edition will contain, and surprisingly they decided to go further with including the most playable character in a single title that the series has ever seen. While talking about the development of the game, Itsuno recalled what they wanted to focus on when making the Special Edition. "Coming off DMC3: Special Edition, including Vergil was a no-brainer really, and it was also something that a lot of fans pretty much expected to happen when you announce another Special Edition," said Itsuno. "The next thing we looked at was bringing it up to speed [...] It's been seven years since the last game, and people may not be as familiar with it as they once were. So even just having tiny things like auto-save, helped bring up to console standards. Then we added Lady and Trish." 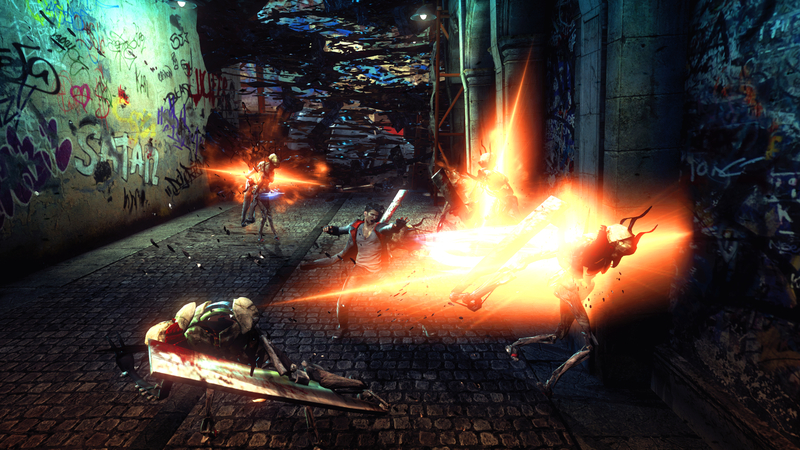 Right from the beginning of the series, gamers have recognized that DMC is in a class of its own when it comes to combat. After Itsuno took over as director for the series, the combat expanded much further. With experience on titles such as Capcom vs SNK and the Street Fighter series, he used much of his work on honing combat and fighting mechanics and transitioned it over to DMC. With DMC4SE, the developers plan on injecting more of the fighting game mentality into the series with the inclusion of multiple playable characters, as each posses their own unique playstyles. "You definitely could say I've brought my fighting game experience to bare," said Itsuno while talking about the new playable characters. "Particularly because we got some additional characters and gameplay experiences are quite different for each character, and the gameplay will change for each. It's quite a unique aspect to DMC, compared to other action games where we have this selection of characters, so you're really getting a different gameplay experience with each character. We looked at people's combo play videos for 4 and also 3 Special Edition for Vergil, and we used those as references. But ultimately, we wanted to make sure it was the game you love." During my time with DMC4SE's Vergil, it was clear that he adopted some tricks from DmC Vergil. Ninja Theory's work on the mechanics for Vergil offered some very inventive takes on classic moves and also included some new skills that very clever in their own right. Over the years, DmC: Devil May Cry has been a pretty divisive title among series fans. Many of whom don't tend to view it in the same light as the original series. 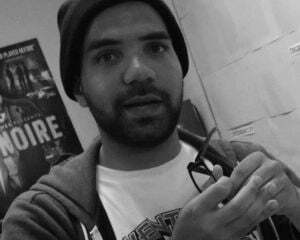 The director of the series spoke about his work supervising the developers at Ninja Theory, and still holds the game and its developers in high-regard. "It was a three year project working on DmC: Devil May Cry with Ninja Theory, and I was going back and forth to Cambridge working on it with them. And I got a lot of great memories, I'm still really great friends with those guys, whenever I see them I'm like 'give me a hug, bro', and even though it was a divisive game, and that was the reaction from fans, obviously -- I still feel it's a well respected game. I don't like thinking of it as this separate other thing from the rest of the other games. My work on that game definitely influenced DMC4SE. As with every upcoming E3, many fans like to hypothesize about what's going to be announced at E3. Just checking on twitter or NeoGAF, you could see massive threads detailing fan theories and speculation about some upcoming news relating to the developers and publishers attending. And though many were convinced that Capcom was going to drop the bomb and announce Devil May Cry 5 at this year's expo, they of course were mistaken. But rest assured, Capcom is totally aware of the enthusiasm for the series. Itsuno had this to say to fans about the current state of Devil May Cry. "Of course, there was some people rumor and speculating whether or not there'd be a new announcement at E3. Sorry, but there wasn't one this year. But 4SE is something I really wanted the chance to get DMC in the hands of the next-generation console player. It's been that long since the original series, the hardware has changed, standards are different, and I know that people are waiting to play the game again." With the upcoming Special Edition almost upon us, it's going to be a special time for many fans who've longed for the return to the original series. I've spent quite a bit of time with it, and I feel that many long time fans will love what Itsuno and the developers have done to reinvigorate DMC4. The new characters add a whole new level of freshness to the game, and fans who've spend countless hours exploring the nuances of Dante and Nero will love what Vergil, Trish, and Lady bring to the table. Expect our full review from Chris next week.